Assisted Living for elderly is a long term senior care option for adults who can no longer live alone without assistance and need help taking care of themselves. Assisted living facilities provide a variety of services based on individual needs such as health service management, help with daily activities – such as dressing or eating, and companionship. Generally the facilities are chosen by seniors wishing to maintain some semblance of independent living, who need minimal oversight, and to relieve family members of full time care, which can be emotionally and physically overwhelming. There is no official nationally recognized definition for assisted living, a cross between nursing homes and living alone. Assisted living is a broad industry term, a growing option for today’s seniors that has boomed over the past 25 years. Assisted living gives seniors an opportunity to thrive when they find themselves in an in-between stage of needing 24/7 care yet not able or willing to stay by themselves. Did you know? Nearly one million persons reside in assisted living facilities. A typical resident of assisted living is someone who needs help with at least one daily living, self care activity – mainly bathing (Walk-in Tubs), personal hygiene, grooming, mobility, eating/cooking, house cleaning, shopping, or transportation. There is a great variety of services offered from facility to facility. Not everyone is the right fit for assisted living. Some seniors, especially those who enjoy their freedom and are very independent, may feel confined by living in a facility where there are rules and guidelines to follow, along with living communally. On the opposite end of the spectrum, a person who requires a more intensive care regime (such as a dementia patient) may not have their needs met in an assisted living facility. Many facilities will perform screenings to determine if someone is the right fit to become a resident. The criteria for assisted living admission assessments are done by professionals for health, cognitive functions, and personal care. Health: A potential resident has their medical history comprehensively examined, looking at any family history of disease or current afflictions. Cognitive Functions: Thinking, reasoning, remembering, attention and language skills are assessed; this is especially important when considering dementia patients for long term care. Personal care: Basic daily care, such as showering and feeding, is assessed to determine the level of care required. The services of assisted living facilities vary across the country as there are no federal industry guidelines. All 50 states have their own individual regulations to follow. Licensing is required for the different levels of nursing and medical care, and is necessary in order to accept some methods of payment. Usually, residents live in their own apartments – either with or without a roommate. Some facilities come furnished, and others may permit residents to bring their own comforts from home, such as a favorite arm chair or desk. Apartments will include bathroom facilities, a bedroom, and kitchen. Personal Care: Includes bathing, dressing, brushing teeth and hair, and other basic hygiene activities. Medication Management: Trained staff; a certified medical technician, will help with the dispensation and tracking of daily medication. Meals: Menu planning, cooking, regular dining services in a cafeteria and, providing for special dietary needs. Transportation: Residents can use transportation to medical appointments as well as other venues including churches, shopping centers, or libraries. Social activities: On site recreation including worship, art classes, exercising, holiday celebrations, and off site day trips to museums, movie theaters, and other community events. Therapies: Facilities offer physical, occupational, and speech therapy themselves or from visiting practitioners. Counseling: Onsite therapists provide counseling to both residents and family members. Security: 24 hour security to ensure the safety of residents. There are other, non basic services that an assisted living facility may offer as well. These services can include financial management and planning, grocery shopping, communicating (via phone or email), and pet care. When Assisted Living is Needed and who is it For? How do you know when it’s time to move a loved one into an assisted living facility? If at all possible, ideally it would be best to begin researching facilities before that time arrives when they are needed, as it can take a while to select the right one, in addition to getting everything else in order; such as selling a home or general finances. Researching ahead of time will give everyone time to get used to the idea too. Moving to an assisted living facility can be a difficult decision to make, and, it goes without saying, a major life change. Many people will be resistant to leaving their homes and paring down their lifestyles, along with potentially having to leave friends and family for an entirely new environment. Family will need to keep a keen eye out for signs as their loved one ages that it is time to move them to a facility. Typically, a family member will be the one to facilitate a move, not the seniors themselves. Whoever facilitates it may need to persuade others, and it is best to be prepared for this as well. Keeping an open mind is best in this scenario. Note: Assisted living is the number one care option for seniors who can no longer take care of themselves. Aging in itself can be a difficult process, even without the possibility of giving up the independence of living alone. Often though, moving to a facility is the best decision for everyone involved. There are certain indicators that it is time to consider this decision. Falls and injuries are incredibly dangerous for the elderly. Often they can result in head trauma, broken hips, knees, and bruising. A home that is not equipped with medical accessibility (such as ramps or handles, or bright lighting) can be doubly dangerous. A failing memory can contribute to forgetting to lock doors or set security systems, to leaving on an oven leading to fire. To prevent embarrassment, a senior may not inform friends or family members of these incidents, and if they are not accustomed to regular visits, a family member will not know. This can mean a situation goes unknown for a period of time, and it may become dire. It’s best to check in on seniors that live alone for this very reason. When a senior lives alone, eating a balanced diet is a concern. By themselves, a senior may not want to put the effort into preparing meals just for one, and therefore not consume the proper nutrition needed on a daily basis. Assisted living provides not only snacks, but also 3 meals a day. Seniors can choose to eat in their apartment or communally in a cafeteria, and have their diets and meals monitored by staff. Memory loss is one of the biggest indicators that it is time to move to assisted living. As stated previously, it can lead to unsafe conditions in the home in regards to forgetting to put security measures in place or lead to accidents. Memory loss can also mean forgetting to take medication, loss of driving skills/ directions, or attending doctor appointments. All of these things can be taken care of in a facility specialized in memory care, from medication management to transportation. Putting aside being independent, living alone is not for everyone. Many people thrive on interaction, and for seniors this is especially important. There can be a correlation made in staying active and needed as we age. It can help to not feel quite so lonely. Assisted living facilities have community outings, and classes in art and exercise. A home can fall into disrepair quite easily without regular cleaning or upkeep. A senior living alone in a home that is too large for a single person may not care or be able to take care of things like weekly vacuuming, making the bed, or other chores. Assisted living provides housekeeping services, and some will aid residents in grocery shopping. Being sad is a part of life. That being said, there is a major difference between feeling “blue” every so often and having depression. A consistent state of depression is detrimental to one’s mental health and can have dire consequences on physical health as a result. Aging especially can cause depression as illness takes over and a person no longer feels in control of their well being. Look for warning signs of depression including failure to care for themselves, an unrelenting feeling of anxiety or sadness, sleeping issues, loss of interest in day to day activities,or having thoughts of suicide. It is an overwhelming undertaking to research an assisted living facility. What types of questions should you be asking to determine when one is the right fit for your family? It is a decision that requires a lot of prep work ahead of time, and will not be an instantaneous move – nor is it a move that should be taken lightly. Patience, armed with knowledge, will result in what is hopefully a mutually beneficial situation for everyone, especially the future resident of the facility. 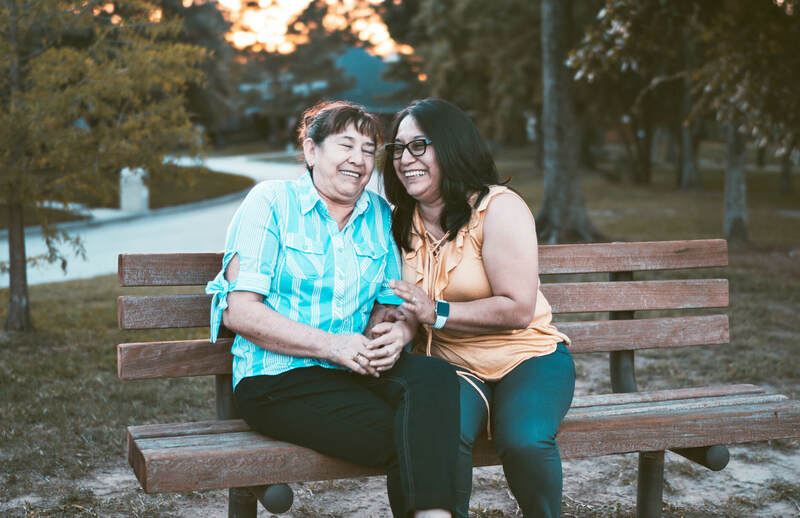 Finding an assisted living community is a big undertaking, as it should be, due to the fact that it is a major life change for everyone involved. Choosing a facility is not a decision to be taken lightly; it is on par with choosing a new home in addition to deciding on a medical care team. Essentially, you are selecting the people your loved one will be spending every day with for the foreseeable future. How will you know when a facility is the right fit? It is recommended to research and tour as many facilities as possible. Any facility should allow tours along with meet and greets of personnel. The senior moving should also have a voice in deciding where they will be moving. An incredibly active person will want to move to a facility that can provide a variety of senior activities to keep up with them. It is vitally important to find a compatible match socially, not only a facility that meets care needs. Similar to a lease, a facility contract for a resident can specify anything from move in dates, to costs for rent or any extras, methods of payment, medical specifications, services provided, discharge instructions, and any other pertinent information regarding moving in. Potential residents will undergo assessments to gauge their medical needs before being approved for admission to a facility and offered a contract. Depending on a person’s medical care needs, some facilities may hire outside their private personnel and allow medical providers to visit and aid residents. These providers may include home health aides, or nursing staff to care for terminal patients. Often facilities offer a temporary stay program, where a potential resident can room there for a short period of time such as overnight or weekend, in order to get a real feel for the place by participating in activities, eat meals, meet the residents, and interacting with staff they will be living with. The purpose of an assisted living facility environment is to allow residents to retain some semblance of independent living for as long as they possibly can. Their goals include fostering autonomy, privacy, and safety, as well as community engagement and living a full well rounded life. Should the resident become increasingly incapacitated, their care needs will correlate as necessary. How severe is their medical care need – or is not severe at all? Will the senior benefit from daily companionship? Do they need assistance with daily living such as light housekeeping or bathing? Do they need help with medical management? Do they need regular transportation to medical appointments or shopping trips? Assisted living facilities all offer different services, and have different environments. Some may be more formal in not only decor, but personnel and atmosphere. For a potential resident who is used to a more laid back way of living, this kind of facility will not be as good a fit as a facility that is more comfortable and easy going. Sit down with your loved one to create a list of important amenities and criteria a facility must have in order for them to live there. This can help narrow down choices, before making tours. Is the facility in the same city they currently reside or relatively nearby? Is the facility near favorite restaurants, shopping, and more importantly – medical providers? Are family members and friends still living close enough for regular visits? Conversely, some people may want a more radical change, even this late in life, and decide they want a more suburban or urban setting, or a drastically different climate from what they are used to. Winters and colder weather can be harsh for seniors, and something warmer can provide health benefits. What is the maximum number of residents allowed? What are the standards/licensing needed for caregivers? Do they require regular updating and training? Is there a choice in apartments? Will there be roomates or can a resident live alone? Does the apartment have a separate kitchen with accessible cabinets and appliances? Is there a communal laundry or facilities in the apartment? Can residents bring their own decor and/or furniture? Is the a/c and heat adjustable in the apartment? Are safety inspections and reports publicly available? Is there a residents guide to rules and living? How is the staff behavior? Are they friendly and personable, or strictly job oriented? In speaking to residents, how is their demeanor? Do they seem happy and content in the facility? Are they thriving? Are the social activities offered of interest? Is there staff on call 24/7? What is the protocol in an emergency? Is the facility secured at night to prevent wandering, or can residents come and go as they please? Are there fire safety drills, smoke detectors and a sprinkler system? Are residents able to bring their dogs or any other pets? If so are there any breed restrictions? If not, is there an visiting animal assistance program? What is the accessibility available? Are there handrails, ramps, bright lighting in hallways, or an easy to follow floor plan? What is an example of the monthly activities calendar? What other types of community activities are there – are such things as a library lending program, movie nights, or mall trips included? Are there extra charges and fees for anything such as laundry services? Can family and friends stay overnight? Can a resident leave for a weekend outing? Is there any reason a resident might be asked to leave? What is the procedure? It is important to consider costs when contemplating moving a loved one to an assisted living facility. Finances play a big role in the final decision; like house hunting; along with location, amenities, and level of care provided. This can have an adverse effect on potential facility candidates depending on the status of your family finances. The average cost of residing in assisted living is estimated at $48,000 per year ( an average of $3,500 a month) with costs increasing every year. Costs can vary depending on the services and amenities offered by the facility in addition to the cost of living in the geographical area. Assisted living costs are historically less than nursing homes. Note: In 2016 a nationwide survey of more than 6,000 licensed centers found that the average flat fee was $3,628 for a private bedroom and main services. Typical monthly costs will include the basics like room and board, meals, and possibly housekeeping. Extra fees charged in addition to rent could be laundering services, pet care, any therapies received, special activities for dementia etc., and excursions. Fees will generally differ depending on the facility itself. As care needs increase, a resident might require extra help in addition to the assisted living facility nursing staff. Brining in a hospice nurse or other medical team members would also increase costs. Where can you find the funds to pay for assisted living? Primarily, seniors or their families pay out of pocket, with assistance from insurance policies or have their own financial assistance programs to delve from. Typically the costs are too great to pay in full and it is common to combine a variety of sources to may up the difference. Sources include savings, Medicaid, private long term care insurance, Social Security, and veterans benefits. Medicare does not cover assisted living expenses and is most often used for skilled nursing or home health care services. As cost of care increases every year it is especially important to plan financially for the future as early as possible. These are short term loans for seniors who continue to live at their home while waiting for a short term loan or other benefits to be approved. Another short term loan for seniors who need more time to liquidate assets; such as when waiting to sell a home or waiting for pension approval. A reverse mortgage is an equity loan taken out on a home that is about to be put up for sale, and it does not have to be paid back until it is sold or after the owner passes away. Term Life: This policy caters to senior citizens and do not require physical examinations. Term life plans last for a designated time period that depends on the age of the purchaser. They can be converted to whole life or universal plans if needed and then can be converted to cash to cover medical needs. Universal/Whole Life: Converting a term life policy into a universal/ whole life one can happen without a physical exam. It does need to occur within a certain time frame before the policy expires, or when the recipient reaches a certain age. Long Term Care: Many long term care plans permit cash withdrawals, along with their biggest benefit – covering all costs of elder care and other medical expenses that are not covered under Medicare. Long term care insurance needs to be medically assessed. Viatical Settlements: Viatical settlements are intended for people with less than two years of life expectancy. It involves cashing in a life insurance policy for 60-90% of the face value and is paid out in a lump sum. Annuity / Savings: An annuity is a long term investment that insurance companies issue to protect finances and reduce the risk of a person outliving their income resources. In purchasing an annuity, you pay an initial lump sum then receive regular payments in return when they are needed. Veterans and their dependants are eligible for benefits from the Veterans Administration (the VA). These benefits are available for those who served 90 days or more of active duty with the minimum of one of those days served during a war. This is a needs based program and many are rejected from receiving benefits due to having too many assets. Therefore, it is most beneficial for low income seniors. Medicaid is used by those who do not have savings or limited funding resources, or are disabled. Medicaid can help with assisted living costs, especially for those who are low income or have a minimal amount of assets, as with VA benefits. It does not typically cover all costs of care services however. Benefits.gov has the latest up to date information on Medicaid policies. Some states do not accept Medicaid at all, so it is best to know ahead of time before choosing a facility if you live in one of these states. Medicaid is not to be confused with Medicare, an entirely different program which is only used for skilled nursing or home care. Some assisted living facilities may offer their own private funding options to pay for care. Assisted living facilities are regulated by the states they are located in, and each has its own laws and guidelines. Keep in mind the differences that may occur if a facility is out of state from the one you are currently residing in. Each state will establish and enforce its own guidelines regarding facilities. A comprehensive guide for each state’s yearly inspection and regulatory review boards can be located at the the National Center for Assisted Living website. Initially, there are some criteria you should look into when beginning to look at facilities; even prior to taking a tour in person – namely that the facility is licensed, insured, and has a good track record of inspections. Federally, there are no regulations that apply to facilities across all 50 states. Licensing is handled differently across the United States and differs from state to state. A responsible, reputable, safe facility should have and follow the guideline set forth by their state regulatory board. Look into the resident state rules, and take the background of the facilities you are researching into account. Consider their history and check online if there are any complaints, and if regular inspections are performed. Unlicensed facilities may cost substantially less than those that are licensed, however there may be no legal recourse in the event of an accident or emergency, and there may be no medical training required for staff. To ensure compliance of medical necessities and proper care of residents it is important to have standards and obligations and someone to ensure these are followed. States and facilities have criteria that must be met in order for someone to become a resident. Failure to do so may result in rejection. For example, residents who have certain medical needs may not enter a facility that is not equipped to handle them. Facilities may require assessment by medical professionals before approving a person for residence. We want to ensure that loved ones will be well cared for in any facility and not having federal procedures like nursing homes can make this more difficult. To become more familiar with the rules set forth in the state of the potential facilities, resident rights, and the legal standards entitled to them; visit AssistedLiving.com, where you can find each state’s standards and laws.